These are some of the questions facing Yessenia Gonzalez, Vice President of the Student Organization Board at USC's Suzanne Dworak-Peck School of Social Work. Student Org represents over 3,000 students in the School of Social Work, giving them a centralized platform to connect with each other, find information about opportunities and events, and interface with university faculty about key issues in social work and education. "We're the voice of the students," says Yessenia. Since the School of Social Work offers an online MSW program, not all of Student Org's members are local to USC's campus. More than half live out of state; some are even further away, like the military-based students stationed in South Korea. "Our program is constantly expanding," says Yessenia. "It's very difficult for a program of our size to stay connected, but that's Student Org’s goal." In her efforts to reach all of Student Org's members, Yessenia utilizes a combination of tools found on CampusGroups. "We have recurring events, and any event we have on CampusGroups is sent out through our newsletter," she explains. "My favorite feature is the blog. We post our monthly newsletter on our blog because the format looks great. Sometimes we use the blog to suggest events and have students respond." Student Org hosts a wide range of events, including opportunities for professional networking, political advocacy, and volunteering in the community. Since students are spread out across many different cities, the events calendar on CampusGroups serves as a central source of information that keeps students informed about upcoming opportunities no matter where they live. "We have students in Wisconsin and Rhode Island that are posting their events to CampusGroups," says Yessenia. "Having a collaborative calendar is extremely helpful." As Vice President, Yessenia has taken an active role in improving Student Org's engagement strategy, which is why she pays close attention to the metrics reported in CampusGroups, especially event registrations and email open rates. "I love the tracking feature," she says. "Being able to see who and how many students have opened the emails I've sent — it actually makes me so happy, because it shows how many people are interested in being involved." Getting students involved is, at the end of the day, the primary objective for Yessenia and Student Org — and it hasn't always been easy. In the past, students were reticent to engage with campus-based organizations since so much of the activity took place on popular social media platforms. Now, with CampusGroups in place, Yessenia says students have a dedicated digital space to focus on education, which makes them more inclined to participate. "CampusGroups creates a balance between one's private social media life and school life," Yessenia explains. "With CampusGroups, we maintain a sense of professionalism." As she looks ahead to Student Org's future, Yessenia expects the group to continue growing yet remain focused on its fundamental mission: to keep students of the School of Social Work involved, informed, and inspired to help create the future of social work education. "It's all about networking within social work advocacy," she says. "We'll continue communicating with everyone and hosting events all over the world." 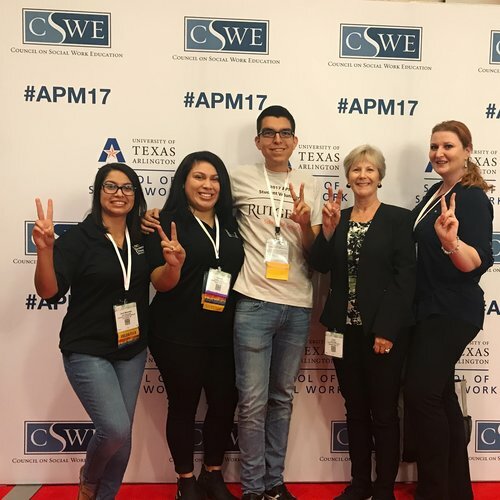 Connect with Yessenia on LinkedIn, and visit Social Org's website to learn more about their efforts to improve social work education.